The old adage, "You get what you pay for," rings true when it comes to entry prices of theme parks. The more you pay, the more entertainment you are likely to receive. When you visit an amusement park -- whether it's near home or on vacation -- much time, effort and money goes into its day-to-day operations. The price of an admission needs to cover this, plus more. For theme parks that don't charge an admission, their revenue is based on pay-as-you-go or ticket exchange format, where each ride and attraction has a separate cost. The cost is based on its popularity and complexity. For instance, thrill rides would cost more than kiddie rides. The type of theme park you visit dictates how expensive -- or inexpensive -- your admission ticket is on that day. The larger and more popular the park, the more it will cost you to attend. Disney boasts not only the largest them parks in the world, but also the highest attendance. To keep all of its five worldwide resorts open and running smoothly, admission prices may seem a little steep. A family of four could easily spend about $300 just to get into one of its theme parks (2010 prices). That's not to mention parking, stroller rental, food and souvenirs you want to purchase. But it's Disney and everyone, at one or another, wants to meet Mickey Mouse or one of the beautiful princesses. They will want to ride Space Mountain or take a spin on the ever-popular Pirates of the Caribbean. You can't get these rides or attractions or even that Disney magic at a smaller theme park. So you pay for it at ticket booth by going to a Disney resort. Visiting this type of park allows customers to budget their trip and get to experience as many attractions as the like for only one price. However, for those who don't like rides, they will be paying a higher ticket price to sit and watch everyone else. However, smaller amusement parks, such as Family Kingdom in Myrtle Beach, South Carolina, doesn't charge an entry price. Visitors use the pay-as-you-go program or purchase an all-day wrist band for a fraction of the price of a Disney theme park ticket. But Family Kingdom doesn't offer everything as Disney, including the many rides and attractions, nor is it as popular. It does offer a less-crowded and cheaper alternative especially during harder economic times. Many of these smaller amusement parks offer free or cheaper parking, amazing scenery (such as on a beach) and it's so large that you won't have to commit to being there for more than one day. That will save on lodging and food costs as well. Because you don't have all of the "extras" that are offered by larger theme parks, your admission and your overall spending will be much less. If the entry price of a theme park is really too much for you to absorb, there are discounts available. The larger theme parks, such as Universal, Disney or Six Flags, run specials during the off-season including two- and three-day passes. If you plan on frequenting a theme park, check into purchasing an annual pass. It usually pays for itself after only few uses. 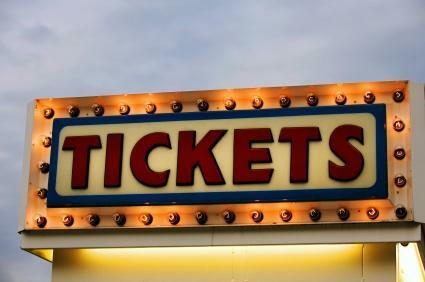 Also, from time to time, local grocery stores and restaurants distribute free or discounted tickets. To find the current price of an entry ticket to your favorite amusement park, check its website or give the customer relations department a call. It's best to know the price of admission before you visit.